I'm considering myself pretty lucky to have been able to continue to work through the worst of my right shoulder freeze, and throw together both Circled and Elemental, the two collections I'm proudest of. To do so, I needed to change my knitting style. I'm an English Thrower, and a very sloppy one at that. 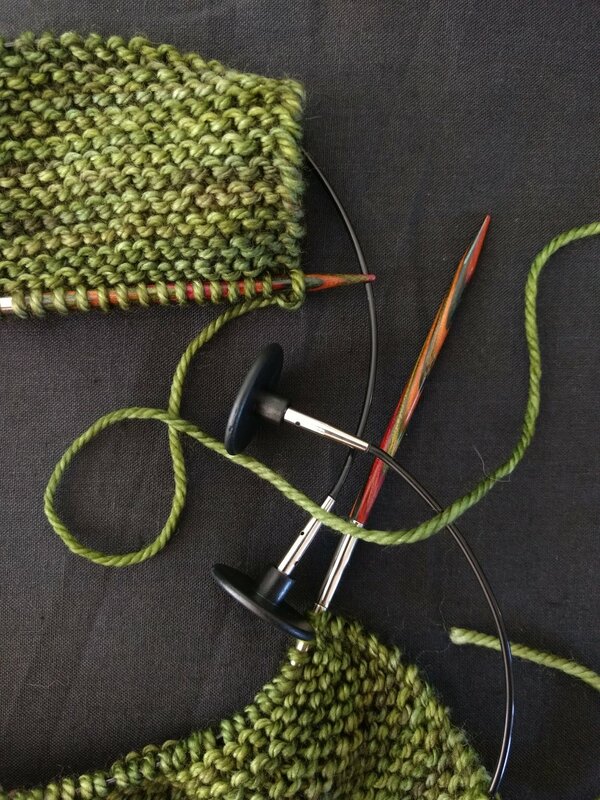 According to articles I've read my knitting style is meant to be the slowest and the messiest yet it's served me well for 44 years (I am very far from being slow or messy). To make things more comfortable for my right shoulder I changed ever so slightly so that more of the throwing motion was managed by the left hand, or at least, more of the movement was. And thus I could knit pretty easily and still keep my right shoulder from too much repetitive action. Fast forward to my left shoulder being seriously grumpy and my right shoulder reminding me it's not ready for a return to our old ways, and knitting is difficult. I picked up my interest in wanting to learn the Continental method, and also the Combined method, but I very quickly found that the motion required by my left hand, in particular that one finger (that in turn made the wrist grumpy) was too much - knitting this way was actually more painful than trying to throw. So I gave up (the knit stitch is easy but the purl stitch is all kinds of illogical and definitely more work that my hands wanted to do). My throwing style isn't wild, and I can throw quite easily without finger tensioning and without moving my shoulders all that much. (I literally drop everything - needle and yarn - as I wrap a stitch) That in turn though puts more pressure on the elbow and wrist which my right arm is fine with but my left very much isn't. But because of the way I do it, it doesn't take too much effort to tweak things. I don't need to ask a joint to lean something new, just ask it to do a little more or less. I'd been hunting for some affordable decent supports (of the splint non-compression variety) and eventually found some, so ordered myself one for each hand and one for the elbow. I only need the elbow one at night, and my right hand doesn't need it most of the time. The left hand one has been crucial - and it has made all the difference. When I wear the wrist support, I can knit. My right shoulder is still doing as little as possible and my left side is still sharing the load, but my left wrist is supported. 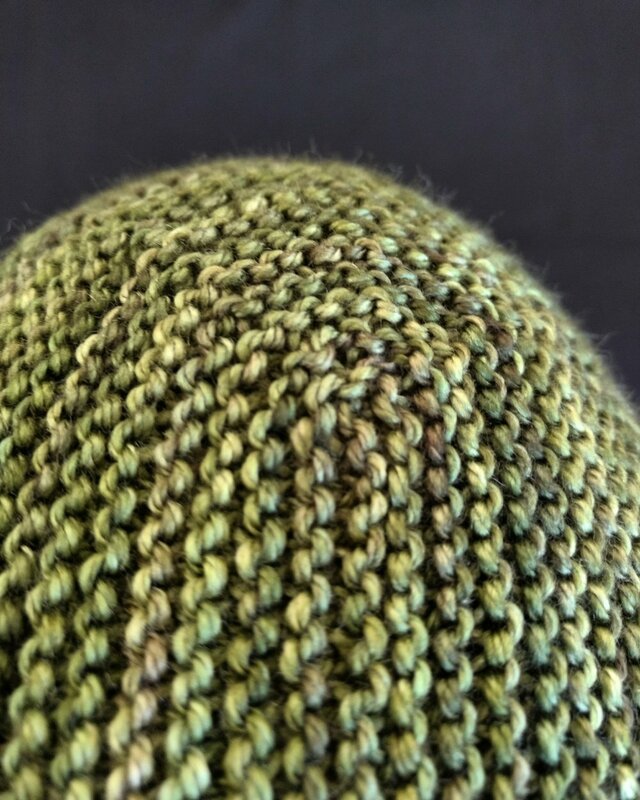 I knit a whole Hat in one day on worsted yarn and my arm ached a little the next day, but that was it. No deep nerve pain or screaming joints. And this can only improve. Today I'm pattern writing, and that feels like such a huge jump from where I've been at these last few months! Finishing these two Hats, and being happy with them, is a turning point. I'm pretty organic in my designing, in that I always have an idea of what I want to do before I start, but it's very much done on the needles, with an awful lot of tweaking going on. I can design it all up front and then knit, but I find the work I produce that way very dry - as far as I'm concerned, it's those details that I change when it's on the needles that make the difference. Even when I'm knitting sideways, which means I have the whole thing charted before I even cast on, I go back and change things. 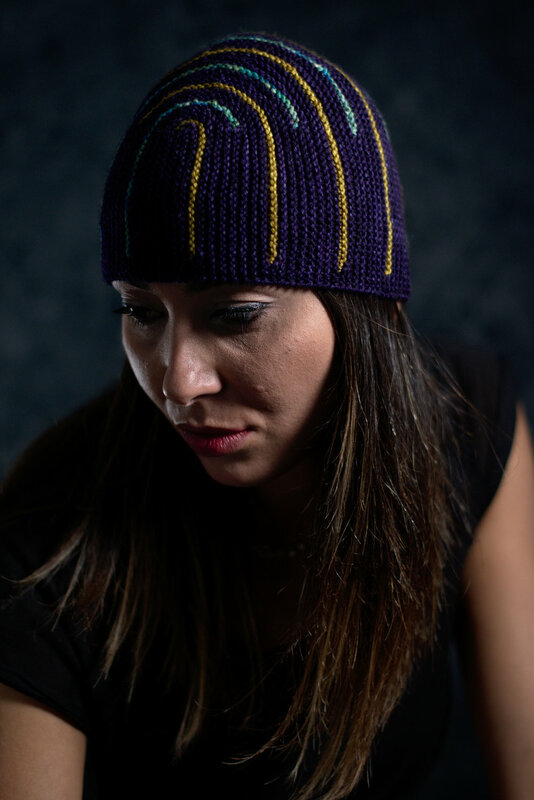 My Hat is my swatch, it's a live test for my ideas, and I enjoy working this way. But it does mean more knitting. I think, subconsciously, I've put more effort into getting as much planned as possible before I cast on. That said, I'm very much about the process and even if I did get it all perfect before casting on, I'd have to go and reknit some aspect just to satisfy that part of my brain. I'm not satisfied until I've corrected something, otherwise it seems too easy? But I'm pretty certain that I've streamlined this side of things, too. Because I've had to. Invariably I find pattern writing the least enjoyable bit of the design and publishing process, but right now I'm feeling lifted by the knowledge that there's something to write down. I'll reveal more about the yarn and these patterns later in the year - someone's bound to ask so that's all I'm saying for now! I can say that the stitch pattern is very enjoyable to knit and an awful lot simpler than it looks (we like those ones).